There are tons of drawing events in Amsterdam nowadays… I’ll put a little list up of events I know. 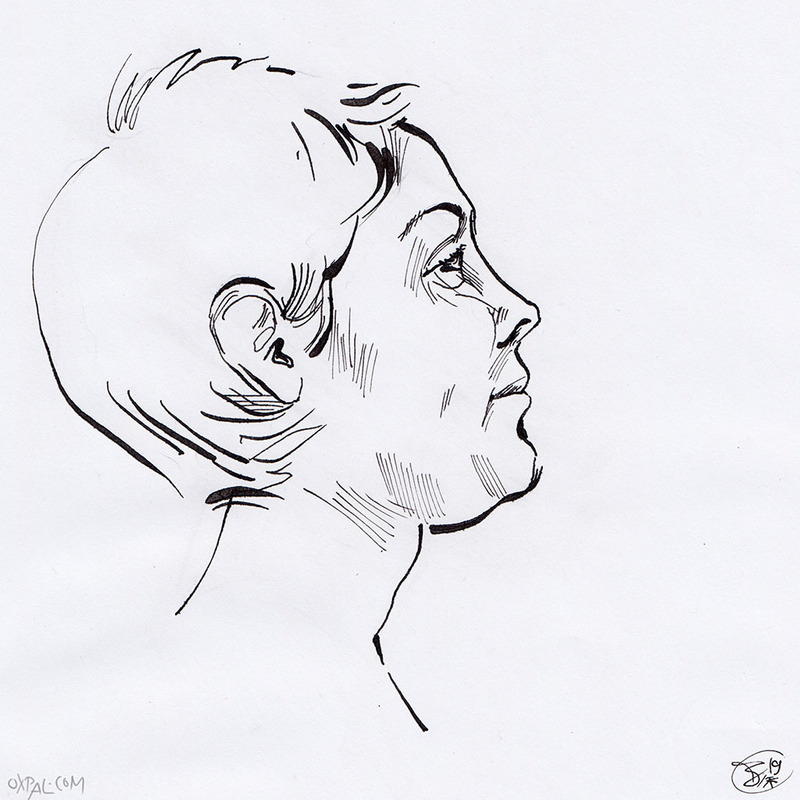 And three ink drawings, which are from the life drawing sessions at Amsterdam’s Volkshotel. 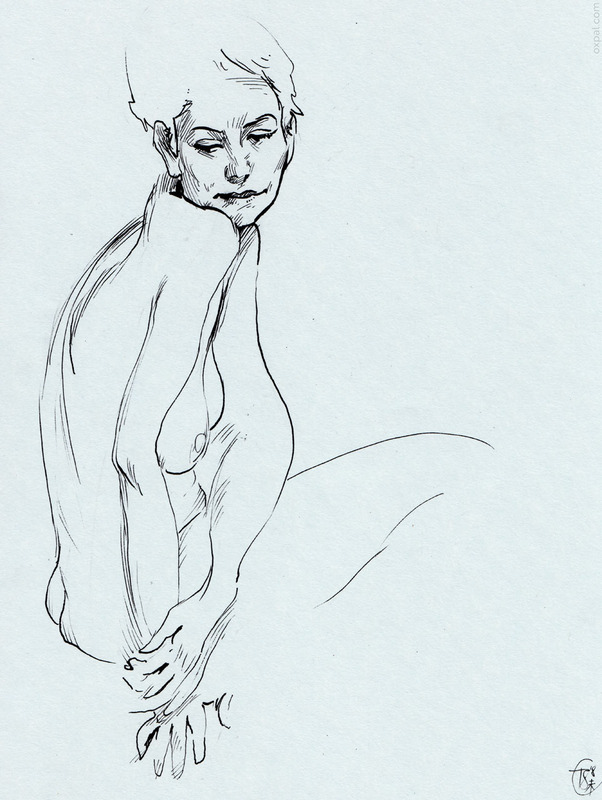 These Volkshotel life drawing sessions are happening every Tuesday. I can recommend them – it’s a nice location with a good host and models. And the place is also nice for having a beer afterwards, or even life music if you’re lucky. It’s advised to register first, might get too full. Seems like life drawing events are getting pretty popular. I remember when I started in Amsterdam, there was maybe one regular place one could go to… by now it’s too many to follow. Maybe in our computer-age, the handcrafting is getting more attention again? You could pick even pick and choose from several each day. At the same weekday as the Volkshotel evenings, there are now weekly sessions in the OT301, and with often very interesting models. 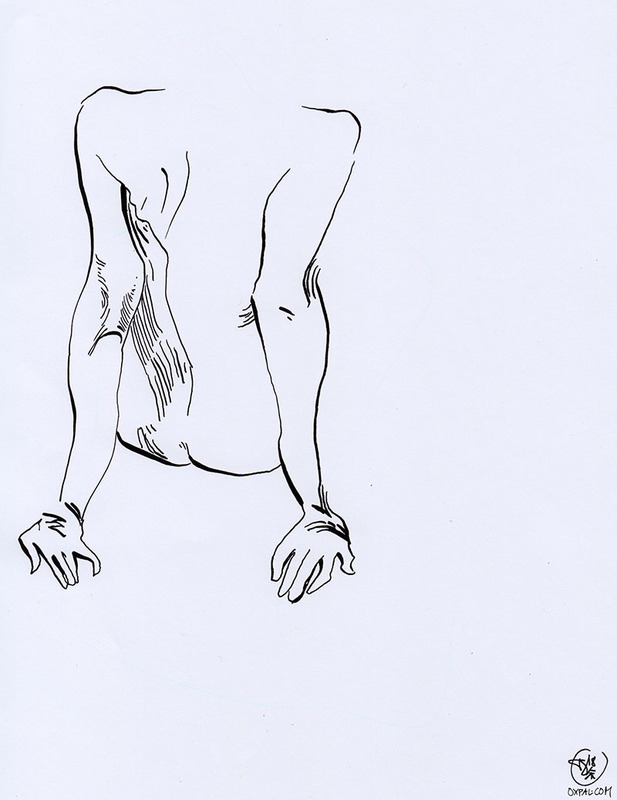 On Wednesday sometimes there is also a “Body Positive” figure drawing session at Nieuwland. I haven’t been there myself yet, but I’ll check it out soon. 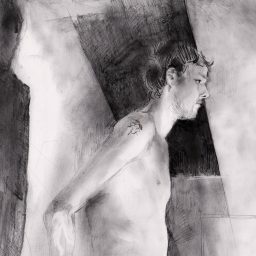 The Thursdays life drawing in Amsterdam that I help organize (or at least promote nowadays) are still ongoing. The Westerdok Atelier (the location of these), has one nearly every day. And on Sundays there are still the long-pose sessions in the Gallery de Stoker. Best to check their newsletter first though – might not be always on. And that’s just from the top of my head… and just the figure drawing. The OpenDraw is a recurring meet-up to hang out and draw together. With their new location in Amsterdam West, they seem to skip to a bi-weekly schedule again. The last times they added a nice touch with drawing-activities, which made the people interact more. Who wants to learn some techniques can check out the workshops by the organizers. And then there is the Draw Club that meets every Monday evening in a cozy place for drawing together (and maybe have a beer). It’s for free – and excellent for doodling while chatting. 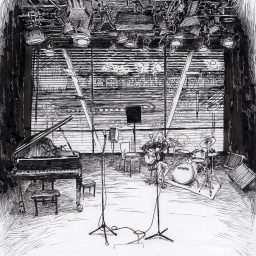 Ah yes, and then there is also The Amsterdam Urban Sketchers – so if you weren’t busy enough on Tuesdays you can go to their free drawing meet-up at the Muziekgebouw Jazz sessions at the Bimhuis stage. The group might have occasional outings into the city too once the weather is nicer. As I’m on the topic of trips – if you’re up for visiting Utrecht, I can wholeheartedly recommend the Synth & Pencil meetups. It’s in a squatted house – and so fittingly relaxed. Just sit with people, draw, paint, make music, grab some food. It’s for free, but relies naturally on the participants to make it work. The last one I joined was fantastic. Even with installations going on, and clay modelling. The upcoming one is stretched for several days!